Flora proves it’s more than just a spread! Flora can form part of a balanced, heart-healthy diet and lifestyle and add more flavour to your daily meals! There are a lot of misconceptions when it comes to understanding what margarine is made of and how it’s made. 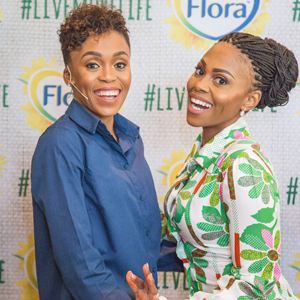 Flora recently hosted a Masterclass to help debunk some of those ‘margarine myths’ and showcase some of the real benefits of margarine. Guests at the Flora Masterclass had the chance to make their own margarine from ingredients found in most kitchens. Though many people see Flora as a spread for bread only, the Flora Masterclass gave guests the chance to see Flora in a whole new light as they cooked tasty heart-healthy recipes using different variants of Flora. Visit the Flora website to find heart-healthy recipes. This post and content is sponsored, written and provided by Flora for Food24.